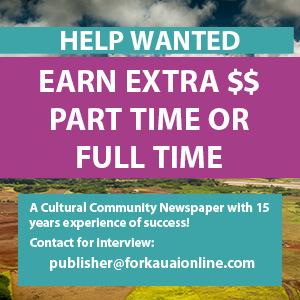 The second edition of the For Kauai Annual Glossy Magazine is now available! For Kauai annual glossy magazine, showcasing the beautiful island of Kauai like no other publication. Copies are $11 each, including tax & shipping. For Kauai’s Annual Glossy Magazine on the web. Click here or on the image above to read it now.